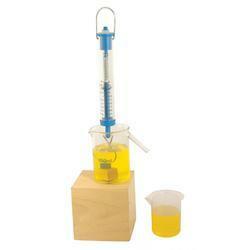 Product description: To explain and calculate Archimedes principle. A complete self contained kit for exploring the concepts related to Archimedes principle, both qualitatively and quantitatively. 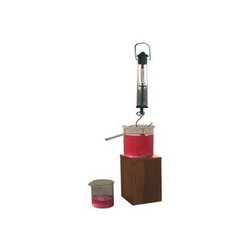 Consists of a metal regular shaped solid, irregular shaped solid, beaker to collect displacement liquid, beaker. Newton meter, displacement vessel. Archimedes principle kit for exploring the concepts related to Archimedes principle, both qualitatively and quantitatively. Consists of a metal regular shaped solid, irregular shaped solid, beaker to collect displacement liquid, beaker. Newton meter, displacement vessel. To demonstrate the principle of Archimedes. A brass, cylinder 60mm long 20mm dia and bucket has a suspension loop at the top and a hook at the bottom. Overall length when extended, 160mm. Practical : To explain and calculate Archimedes principle. We have partnered with best technical and professional colleges across India. Leap thereby bridges the gap between the best & talented students looking for their dream jobs and the companies hunting for fresh and unexplored potential.